President Donald Trump's son told the Senate Judiciary Committee on Thursday that he agreed to meet with Russians who had promised his father's campaign damaging information on Hillary Clinton because he wanted to assess Clinton's "fitness" and "qualifications" for office. “To the extent they had information concerning the fitness, character or qualifications of a presidential candidate, I believed that I should at least hear them out,” Donald Trump Jr. said in a statement provided to the committee — and obtained by the New York Times — before his closed-doors interview. 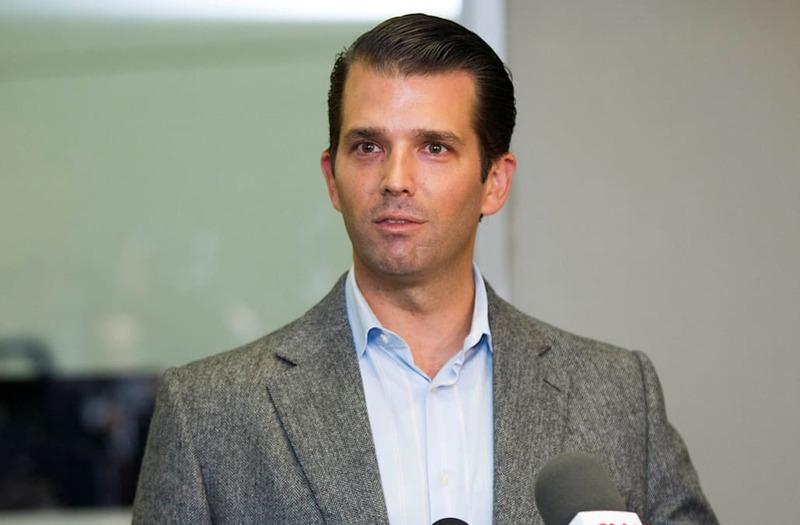 Trump Jr. said in his initial statement after the New York Times broke the news of the meeting that he and a Russian lawyer primarily "discussed a program about the adoption of Russian children." He did not mention in that statement, which was reportedly dictated by his father, that he had been offered compromising information about Clinton in exchange for taking the meeting or that the lawyer had been accompanied by Russian-American lobbyist Rinat Akhmetshin. Upon learning earlier this summer that the Times was going to publish the full email chain leading up to the meeting, Trump released it himself on Twitter. The emails showed that agreed to meet with the lawyer, Natalia Veselnitskaya, at Trump Tower to discuss compromising information she said she had on Hillary Clinton. "If it's what you say I love it especially later in the summer," Trump Jr. told music publicist Rob Goldstone, who pitched him on the meeting on behalf of his client Emin Agalarov. Emin is the son of Aras Agalarov, a wealthy Russian-Azerbaijani developer who brought Trump's Miss Universe pageant to Moscow in 2013. “As much as some have made of my using the phrase ‘I love it,’ it was simply a colloquial way of saying that I appreciated Rob’s gesture,” Trump Jr. said in his prepared statement for the committee on Thursday. Goldstone told Trump Jr. in the emails last year that "the crown prosecutor of Russia" had "some official documents and information that would incriminate Hillary and her dealings with Russia." Trump Jr. said he "did not quite know what to make of his email," and had "no way to gauge the reliability, credibility or accuracy of any of the things he was saying."